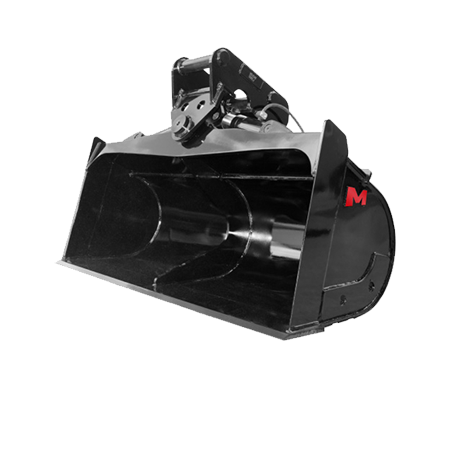 All our tilt buckets are twin cylinder, making them strong, firm, and powerful. The cylinders are single acting displacement type. This means there are fewer seals and moving parts. The ram spears are induction hardened so they can withstand impact and wear with damage. The tilt buckets only require a total of 2 hydraulic hoses.